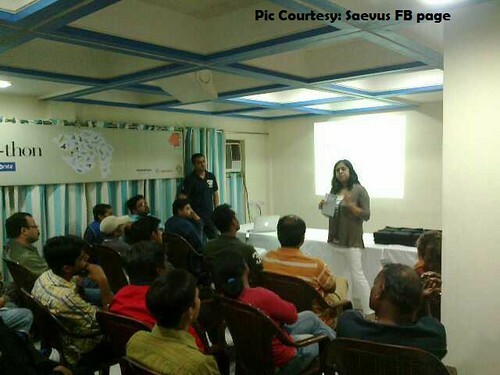 WildZests: A Sequel to Dec 2011 - A Rewarding Experience At Jamnagar! 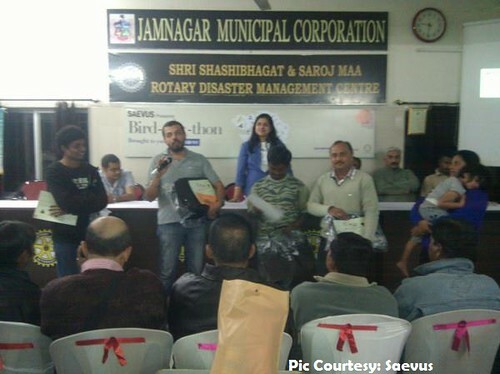 A Sequel to Dec 2011 - A Rewarding Experience At Jamnagar! 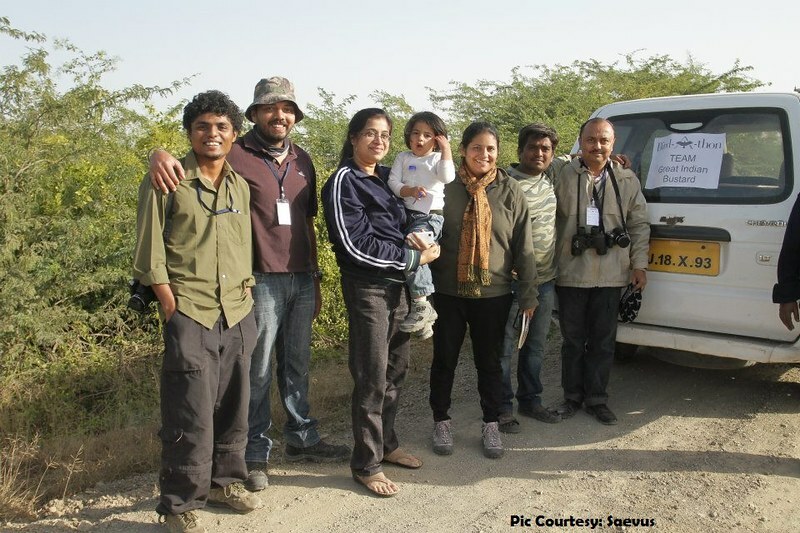 Today was the day we were leaving for Jamnagar to participate in the Bird-A-Thon. Pozu had skipped dinner last night and thus it was decided that I’ll go for the morning safari while Gozu and Pozu will finish all morning activities and be ready for departure by the time I come back. A futile search for the Short Eared Owl delayed our morning jeep ride and by the time I was back at the resort, the mother-daughter duo was all set for us to leave. We made a quick departure from Desert Coursers after all the customary bye-byes and were on our way to Jamnagar. There is no major highway connectivity between Zainabad and Jamnagar and a good part of the road is through smaller towns and villages. Though the roads were decent, the average speed wasn’t all that great since we had to slow down every now and then for the slow moving vehicles and pedestrians. We reached Jamnagar at about 4PM and caught some rest before joining the team for the briefing and dinner party. With the rules understood and the team introduced, we were told to be ready to leave at 6AM on the following morning. Each team was of 5 participants and had a good mix of novice to expert bird enthusiasts. 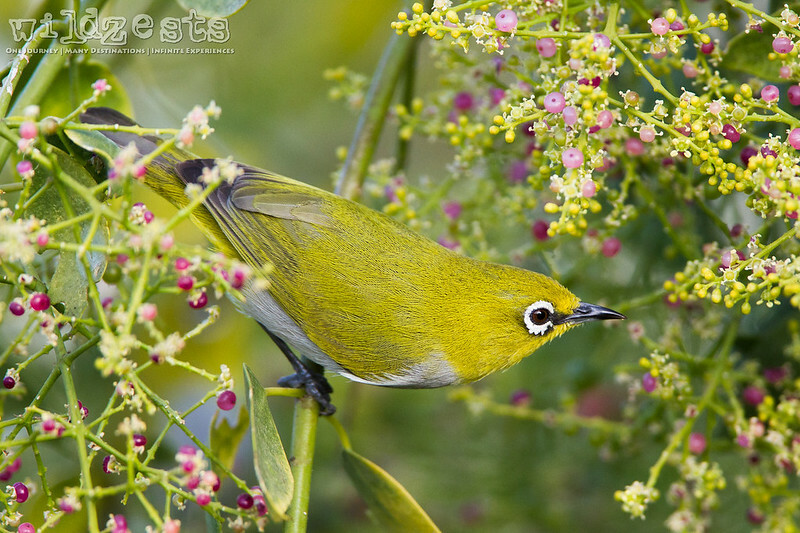 There was a local Jamnagar participant in every team who was pretty much an expert at birding. Gozu and me were in the same team and we had one person from Mumbai and another one from Ahmedabad and last but not the least a young “veteran” bird watcher Chiku (Chirag Solanki) from Jamnagar. It was going to be a bit challenging with having Pozu ready at 6AM since usually on all our trips we let her sleep till her usual time even though we leave at unearthly hours. However, going out on a mission meant that she had to be ready with all her morning rituals completed by 6AM. She also hadn’t had her dinner last night so we needed to make sure that she would eat a good breakfast meal. This is the part where I can’t stop admiring my daughter, at just about 3years of age her adaptability is unmatched. Not only did she wake up at 5AM and finished all her stuff, she was wide awake as we started and was really enjoying the whole kickoff event. The organizers had arranged for packed breakfast for all participants and that really helped in ensuring that she had proper meals through the day. I had been reading up on the birding scene in Jamnagar to prepare myself for the event and I was amazed to see how blessed the port city has been blessed with a vast bio-diversity of residential as well as migratory birds. The whole city is pretty much like a huge bird sanctuary and one can easily see a lot of bird species without making too much of an effort. 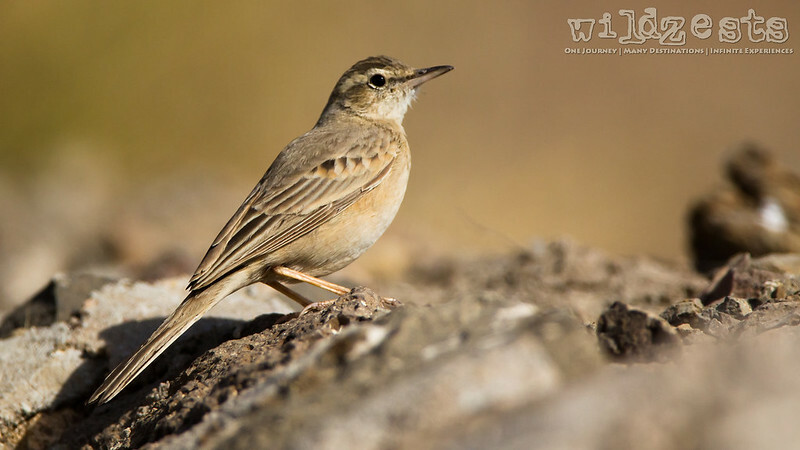 Our plan was finalized based on discussions with Chiku and it was going to be the Khijadiya Bird Sanctuary – Narara beach – Lakhota lake – Valasura salt pans and if possible we’d go to the area near the railway station. The late sun rise at 7.20AM meant that we’d not be seeing much activity until the light comes in and the birds take to the sky. We utilized this time to reach Khijadiya and spot the elusive Indian Nightjar which was the first species to be recorded in our books for the day. The next 2 hours were spent at Khijadiya which yielded us 75-80 species on the list and that was a pretty good start for the day. We had some of the packed breakfast at one of the watch towers and then started towards Narara which was a little more than an hour away. The Narara Marine National Park was a very pleasing experience and I could potentially spend a full day in a place like that without feeling hungry or thirsty. 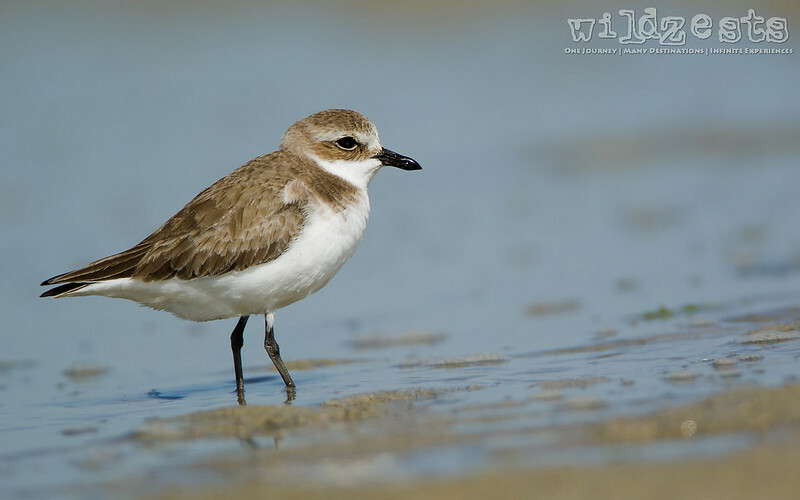 Given that we reached there pretty much as the tide started moving in and water level was increasing fast, we could spot the Crab Plovers and who’re the stars of the area and an Osprey making attempts to find its food amongst the various other waders that thrive in this place. With two major birding locations covered and more than 130 species on our list, we were now focused on finding specific species that weren’t covered yet. The cab guy we had was moving at a very slow pace and keeping the needle at a max of 50-55kmph even on open roads, he said he had gotten some work done on the engine and was running it in. While that cost us time to move between places, the fun thing about birding is that it can be done anywhere since birds are not restricted by boundary walls. The slow speed was a blessing in disguise as it helped in keeping a lookout and spotting several species that weren’t seen inside the sanctuary. On the way back from Narara we made a brief diversion to the Ranjitsagar dam where we found some of the common birds like the purple moorhen, the coppersmith barbet etc. By the end of the afternoon, we were comfortably sitting at a total of 150 odd species count and a quick visit to the Lakhota lake helped in adding a few more. It was still 5PM and we had an hour more to report back at the hotel so we decided to go towards Valasura and see if we can find some more and we did add 2-3 more to the list. The rough list had a little over 160 odd names and we were sure there will be some duplicates, we had started filling out the log book while on our way to Valasura and were glad that the duplicates weren’t too many. At the end of the day we submitted a total of 157 species recorded from all the places we visited. 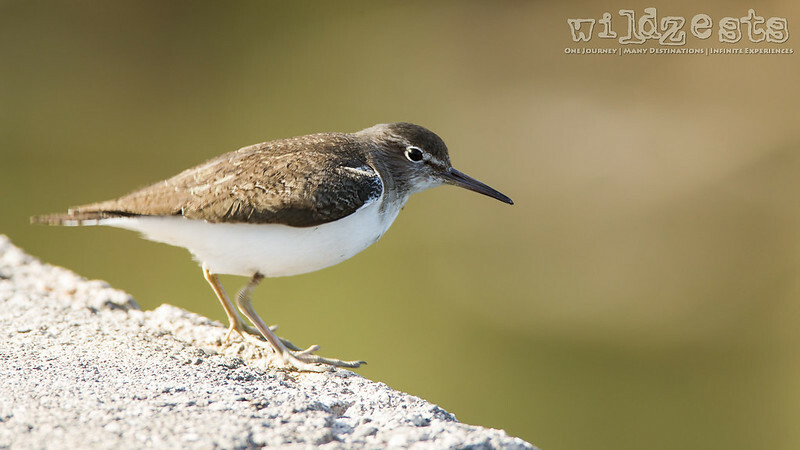 Now, I must admit that I’m a casual birder and even though I know most of the bird names and can identify the parent species of most birds, identifying a specific species and its sub-species is a difficult task. 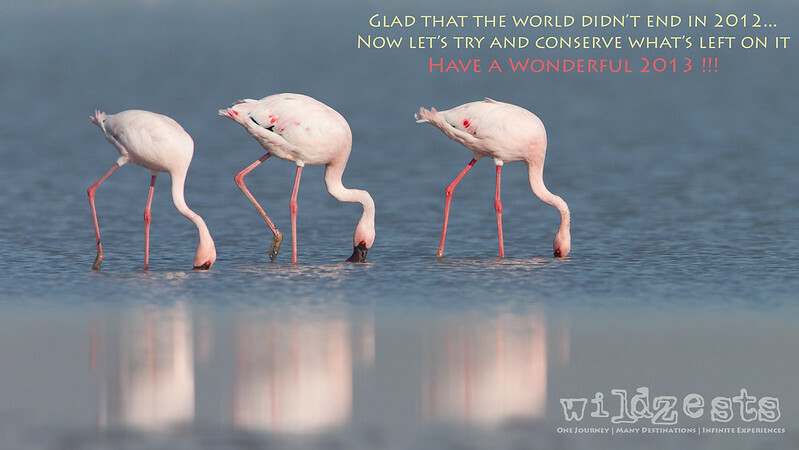 This is where our champion Chiku proved his mettle, an avid birder and a very cheerful person, he’s been an active bird-watcher in Jamnagar for over 12 years and was able to describe the differences between sub-species very clearly. Moreover, he seemed to be an expert with the waders which was a definite plus as there were quite a few waders that we could spot and identify with his help. The contest required us to photograph as many birds as we could so that there is photographic evidence available if required in case of any questions etc. There was a special prize for the day’s best picture based on the jury discretion as well. Each team had to submit 5 photographs before 6.45PM to be qualified for the contest. Now, I had been lugging around my 600mm all through the day handheld to get record shots of most species that we saw. However, given that we were always rushing from one place to the other, there was absolutely no time where I could sit and photograph thinking about the picture contest. A monopod would have been best suited for this kind of jobs but sadly all I had was the tripod which was pretty difficult to carry and setup everytime. At the end of the day, we were scrambling to find suitable pictures for the submission and all I could manage was some marginally decent shots that I’d not be “happy happy” with. Anyways, the single-minded focus of the team was to make sure we put up the best count and we were proud of that, so this was nothing to be worked up about. The award ceremony and closing out dinner was arranged at the Rotary Club hall nearby and we were all sitting exhausted from the day’s work hoping that we’d win something. One by one, all the awards got announced and everybody at our table was pretty much sitting quiet. Then came the announcement for last award which was the most important one too, the winners of the Bird-A-Thon with the most number of species count from the day. We had heard totals of 140 odd numbers so we knew that we weren’t too far off from others, but we didn’t know if someone had more than us. Then came the biggest surprise, everyone suddenly turned to our rather quiet table as the winning team was announced. We had won the first ever Bird-A-Thon and that too by a good margin! Everybody shook hands and hugged each other in glee and boy were we glad that the trip turned out to be so successful. They even announced that they’ll be sending a special prize for Pozu as the youngest birder of the event, she really deserved that mention coz she had been such a good sporting kid all through the day. While sitting through the event, Gozu had a sudden urge to see if we can get some bookings at Gir and drive down on the next day. Now, that’s not something that I’d like to turn down and I immediately turned to my newly found friends in Jamnagar who got me in touch with a reliable source in Gir. Being a Sunday and the 30th of December, I knew the chances were bleak but my contact was determined to try his best and promised to give me a final update in the morning based on which I could decide to drive down to Gir or go back home. After a sumptuous dinner which was infact the first proper meal of the day, the happy day ended with bidding farewell to our wonderful hosts and to our super-efficient team members. That night we slept like logs and the only thing that woke me up in the morning was the alarm I had set to call my contact in Gir about the possibility of getting a safari booking for the evening. He had already told me that staying will not be an issue, but getting a slot in the safari will be a matter of chance. Unfortunately, that Sunday morning was swarmed with people at Gir and he was very polite in telling me that it may not work out to my satisfaction even if I take a chance. Well, you can’t always get what you want and Gir wasn’t even remotely connected to our original plan so there was no heartburn. We promised ourselves to return to the land of the Asiatic Lions pretty soon and started our return journey to Mumbai in the morning after breakfast. The roads were pretty good till Limbdi post which we took the right turn to follow the path shown by Google Maps and that 150 kms stretch until Karjan slowed us down considerably. We passed through some small villages and the road wasn’t wide enough in most places, plus it was patchy in some places. Overall, we must have lost an hour or a little more doing this stretch. Once at Karjan, we joined back to the main wester express highway and continued our drive until we stopped at my parents’ house for a quick 4 hour rest before leaving for the final leg of our journey to Bangalore. We were back home by evening time and had managed to avoid the new year mad rush that would have begun a couple of hours later. We enjoyed the new year party hosted by a friend here with some nice barbeque and I was found mostly dozing on the sofa while the others danced and made merry. Here’s wishing all the readers a very happy and prosperous 2013!